Published in 1956 and still in print, 'Train to Pakistan' is a major novel about partition and its consequences, seen through the perspective of a small Punjabi town. Train laden with refugees, 1947. 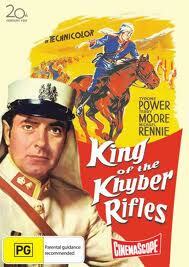 Advertising for the movie emphasised that it was adapted from Singh's famous novel. 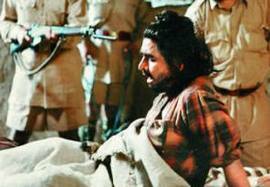 Scene from 'Train to Pakistan'. 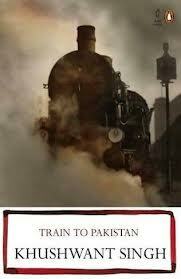 Train to Pakistan is director Pamela Rooks' adaption of the now classic novel by Khushwant Singh. The film is set in the turbulent weeks after the partition of India in 1947. 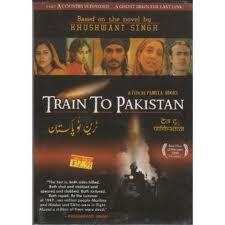 It focuses on Mano Majrah, a small Punjabi town on a key railway line near the new border with Pakistan. It becomes a microcosm for the racial, religious and political upheaval that accompanied the division of the sub-continent into India and Pakistan. An inter-racial love affair between a young Sikh gangster and a Muslim girl is rather uneasily woven into this larger historical context. Pamela Rooks had made her name as a director of documentaries and parts of the film are semi-documentary in style. 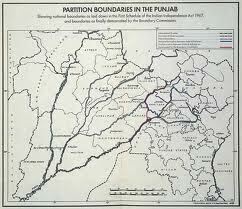 Before partition, the town's Sikh majority and Muslim minority lived together harmoniously. Train to Pakistan 's strength is how it shows that this mutual tolerance steadily disintegrates under the pressure of the unrest and bigotry that sweeps in from outside. 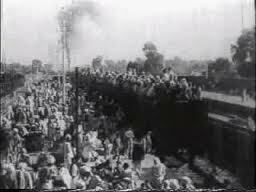 A train arrives in Mano Majrah carrying the bodies of Sikhs slaughtered as they fled Pakistan. In revenge, local Sikhs, stirred up by elements hoping to use the violence and upheaval for their own ends, plan a revenge attack on a train packed with Muslim families fleeing to Pakistan. 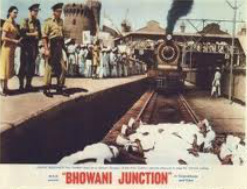 The tension of the last section of the film lies in the attempt by the gangster to redeem himself by preventing an attempt to destroy the train and its passengers by blowing up a bridge near the town. Train to Pakistan 's subject-matter was still contentious half a century later. 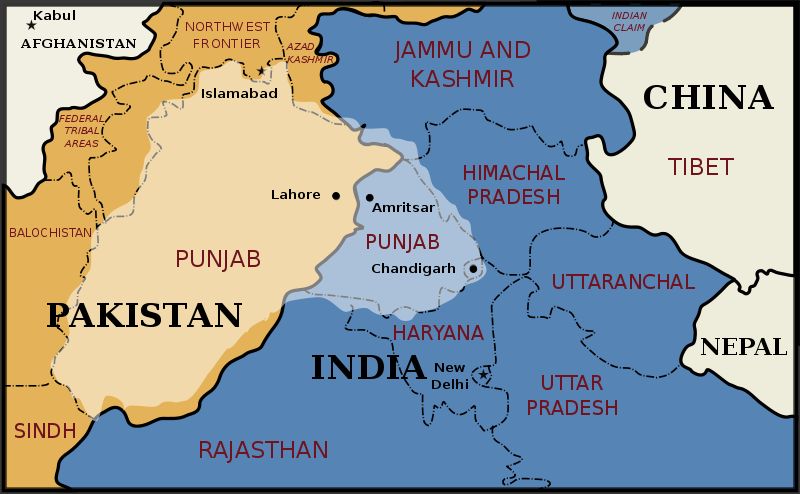 The whole issue of communal violence in 1947 remains a blame-game between the Indian and Pakistan governments, and is still a source of disagreement amongst historians. The Indian Censor Board demanded cuts to which director Pamela Rooks would not agree.The matter was appealed to a tribunal and the movie was finally released with one visual cut and some 'bad' language excised. British cartoonist Illingworth comments on partition. 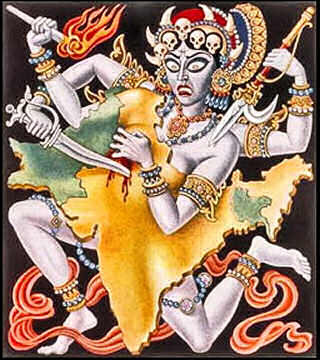 From Time magazine cover 27/10/1947, showing the subcontinent at war with itself. Interview with Khawaja Bilal, station master at Lahore, 1947. "On the 14th of August I was on duty. We heard an announcement that Partition had taken place. Soon after that the killing started, the slaughter began. Everywhere we looked we saw carnage and destruction of human life. 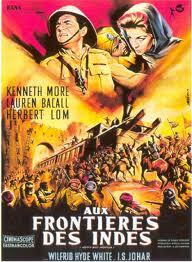 There was no law and order, even when the soldiers came and made a barricade with barbed wire outside the station. Despite their presence, many were being killed on the platforms, on the bridges, in the ticket halls. There were stabbings, rapes, attempts at arson. I had my charpoy in the station master's office: I didn't dare go back to my house. But at night I could not sleep because of the screams and moans of the dying coming from the platform. In the morning, when the light came, bodies would be lying everywhere. 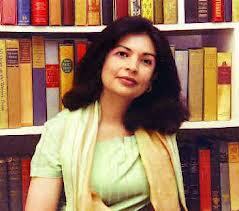 "One morning, I think it was 30th of August, the Bombay Express came in from Delhi via Bhatinda. There were around two thousand people on this train. We found dead bodies in the lavatories, on the seats, under the seats. We checked the whole train, but nobody was alive except one person. There had been a massacre when the train stopped at Bhatinda. The sole survivor told us he had approached the train driver, an Englishman, who gave him refuge.He hid the man in the watertank by the engine. When the Sikhs arrived they could not see him so they went away and he survived. Only one man out of two thousand. After that every train that came from India was attacked. We used to receive one hundred trains a day. There were corpses in every one. " 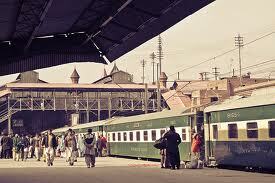 Lahore Railway Station - 1950s? 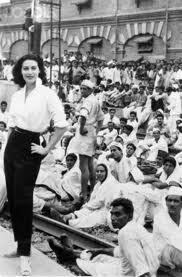 Ava Gardner with extras outside Lahore station, filming 'Bowhani Junction'. 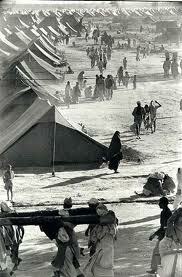 Refugee camp in Punjab, 1947. 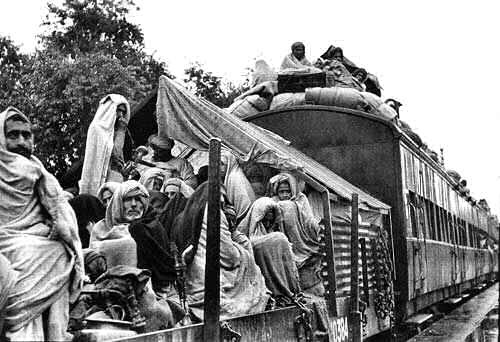 Refugees on train in Punjab, 1947. "Viceroy's House" (2017) looks at the role of India's last viceroy, Mountbatten, in the events leading up to and just after partition. 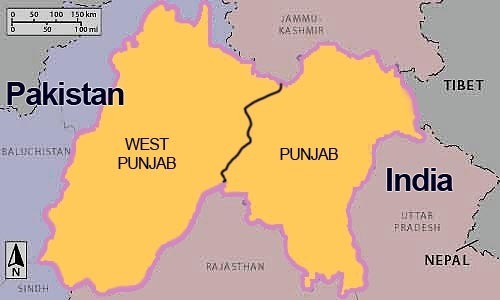 'North West Frontier' ('Flame Over India') depicts Hindu-Muslim violence in the early 1900s within the context of an adsventure story.